Iquitos City is located in the north-east of Peru, it mainly comprises the Selva Baja (lowland rainforest) or Llano Amazónico (Amazonian plain) region, 347 feet above sea level (106 m.a.s.l.). Tropical Amazon Basin. Iquitos is located in the confluence of Nanay, Itaya and Amazon River (left bank). (Map of Iquitos & Loreto). Iquitos is perhaps the world's largest city that cannot be reached by road. Its communication is based on river and air transport. 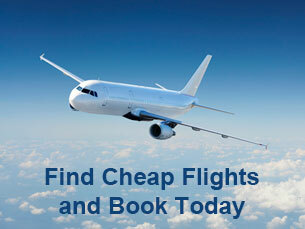 The traditional way for get to Iquitos is by air. Iquitos is easily accessible by air, commercial flights leave daily from Lima (1 hour and 55 minutes) and connections, from Tarapoto (50 minutes) and from Pucallpa (1 hour). International flights from Panama and connections. 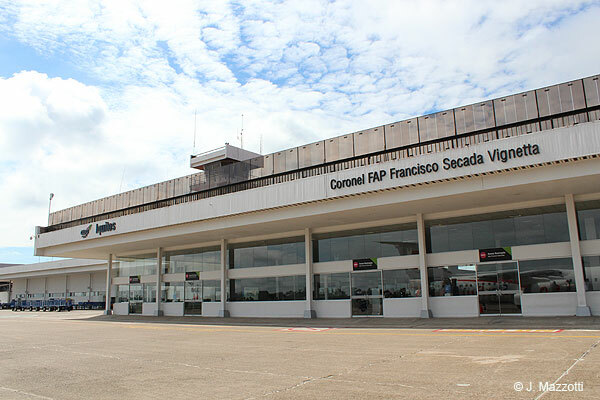 The city of Iquitos counts with the small but busy International Airport Coronel FAP Francisco Secada (IQT Airport Code), with comfortable facilities. The airport is located 7 Km outside the town. 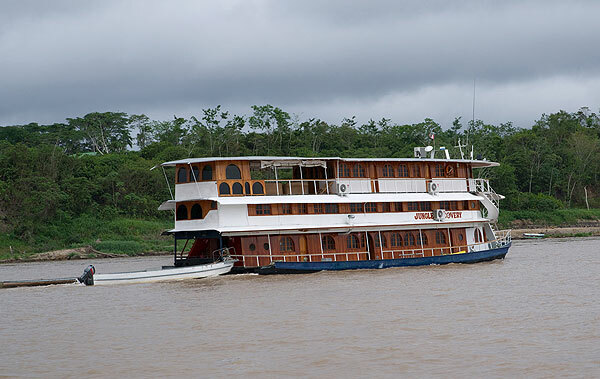 From Pucallpa (La Hoyada Port, 2.5 Km from the City), via the Ucayali River, with stops at the Requena and Contamana ports; it can either be a launch or a motorboat (a large but slow vessel, with a capacity for 250 people), which takes between 4-5 days, depending on the current. From Yurimaguas, via the Huallaga and Marañón Rivers, with a stop at Nauta. Either via launch or "motorboat" (takes 3-4 days depending on river levels). From Caballococha, downstream Amazon River, 2 days by boat. Frontier with Colombia (Leticia) and Brazil (Tabatinga), located in the Amazonian trapeze. Puerto Masusa, located in Avenida La Marina, 3 Km. 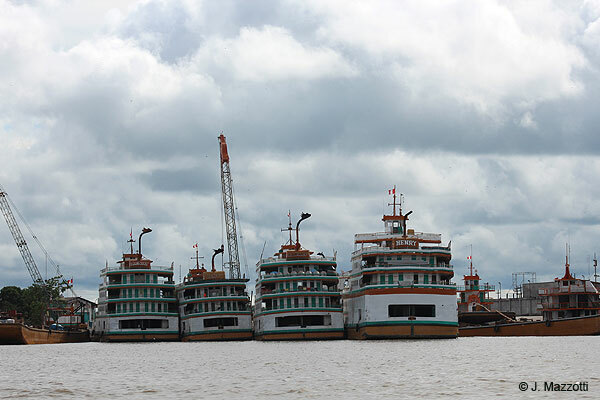 north of Iquitos City, is where cargo and passenger boats leave from.